Let’s be honest, we are in the midst of an era where our lives are so dependent on applications, or apps for short. Case in point, a majority of the wired generation–myself included–are so “Apple’d” that our handheld devices might as well be our oxygen tank. Due to the increasingly hectic lifestyle, it is almost important to stay still and also be productive. That is why mobility is key and instead of sticking to the good ol’ desktops and laptops, developers are on the race to mobile-optimize their websites to keep us hooked and connected 24/7. Truth be told, I can get a little app happy, meaning I like to download a ton of these little programs that I think one day may cater to my needs (they don’t) until my home screen gets absurdly cluttered, then comes the apps purge. Facebook: The flagship app that unfortunately we cannot live without. Poke: A Snapchat-esque attempt for self-destructive messages that flopped. Camera: Why do we need another camera app again? 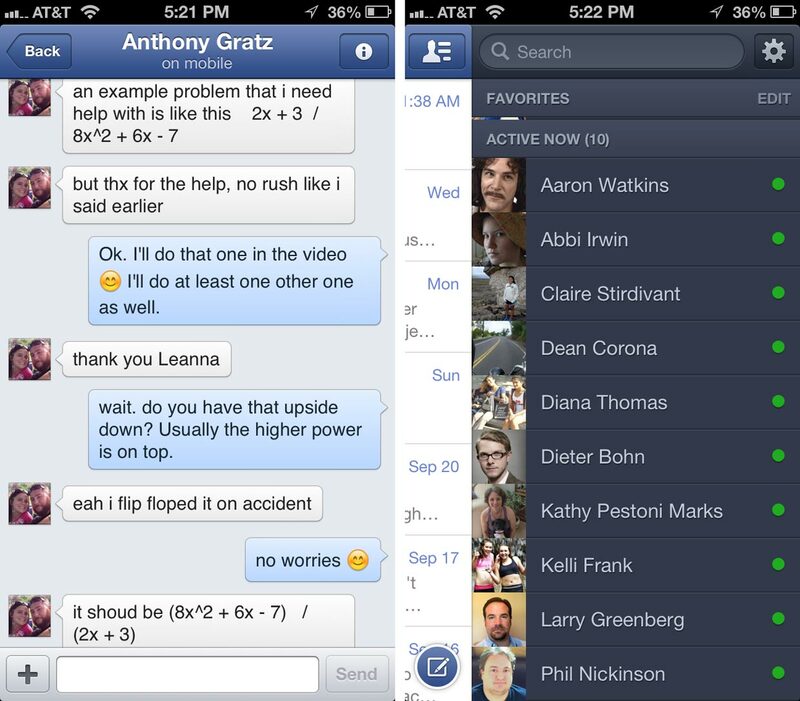 Messenger: A stand-alone messaging app that sports all the same functions the Facebook app does. How redundant. Most of these apps are so irrelevant and users are already deleting them off of their phones. Why have a million little programs on your screen when you could have one that does it all? Shockingly enough, Facebook is forcing users to download Messenger by removing the messaging feature from their main app. This has naturally caused quite an uproar. Everyone is still complaining about getting used to the new interface (as they do every new design roll-out). Business are in disdain because Facebook is eating their content visibility unless they pay. And now we are forced to download an app we don’t want? It is completely understandable if you want to mutter something that starts with F and does not end with acebook. After all, as end-users, any drastic changes are unwelcome. Lance Ulanoff has listed all 11 Reasons Why Pulling Messenger From Facebook Mobile Is a Terrible Idea on Mashable. Allegedly Facebook representatives saw the post and retorted with explanations to why Messenger will benefit us by standing apart from the core app. Take a look at how Ulanoff and Facebook present themselves and decide for yourselves if it is worth dedicating extra space for Messenger. In all honesty I refuse. I do not care for messenger on Facebook as it is. The only time I use it is to get a friend of mines phone number or to send a quick link to someone that is it. I do not see why I need to have a separate app when I personally do not use it in the first place. This is just for shits and giggles it seems like for Facebook just to make more people upset over the fact that they have done something that the online community just does not care for. I already have an app to message people and that came free with my phone I personally will never download this stupid app just to tickle Facebook’s fancy, I will most likely boycott it but only due to the obvious reason of me not needing it. I suggest that Facebook for a change does not fix something that is not broken. I have three Facebook apps on my phone: The OG Facebook, Messenger, and Pages. I used to have just the core app that I used to do everything I needed to do. Personally Facebook is big for me in communicating with friends and family; I message on Facebook as much as I text. That being said, I was so happy when the messenger app arrived because it took the main feature I interact with streamlined it and made it so much more convenient for me. I guess this makes me more of the target for the messenger app. I am also a social media manger of a club and have a few other pages to manage on the platform so the Pages App was literally a godsend. It made managing so much easier, allows me to overview my insights right on my phone and overall just is great. So, I can understand why it seems confusing and redundant for Facebook to have multiple apps, but Facebook is a very powerful platform that users interact with in a multitude of ways. These additional apps speak to the niches who have specific needs from the service.